Notes: The Blue Ribbon Eel is known to jump out of the aquarium and can be challenged to keep it should only be kept in a tank with a tight fitting lid. Be careful while feeding the Blue Ribbon Eel as its eyesight is not that good and it may end up in biting your hand. 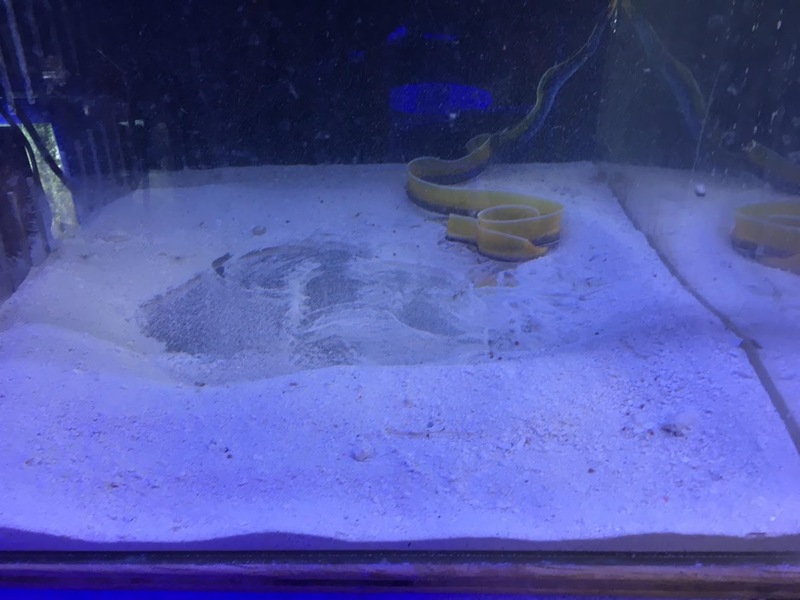 The Blue Ribbon Eel requires adequate hiding places along with 3-5 inch live sand and 1 inch coral ruble on the aquarium bottom. 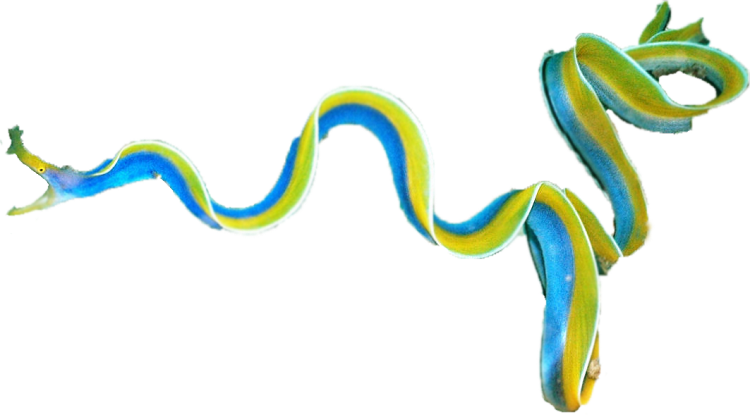 Like many eels, the ribbon eel is sometimes thought to be angry or aggressive, because its mouth is often open, appearing ready to strike. In reality, the eel is simply breathing. The Blue Ribbon Eel is carnivores and prefers to eat live feeder shrimps. Q: Has this eel been eating? If so what have you been feeding it. A: Yes, we feed live ghost shrimp. Q: How long is the eel? Is it in its juvenile stage with black coloration or is it adult male in blue with blue color? A: A Blue Ribbon would be blue, we would sell a Black Eel as a Black Ribbon. Size varies, most commonly they are 15 to 20 inches. Please contact us for specific sizes we have in stock. Q: are your eels captive bred or wild caught if so what is the process used to catch in wild? A: These would be wild caught, I do not believe anyone in the world captive breeds ribbon eels. They are caught using nets, but I am assuming you are asking if they are caught using Cyanide, we do not use any suppliers that collect any fish using that method.